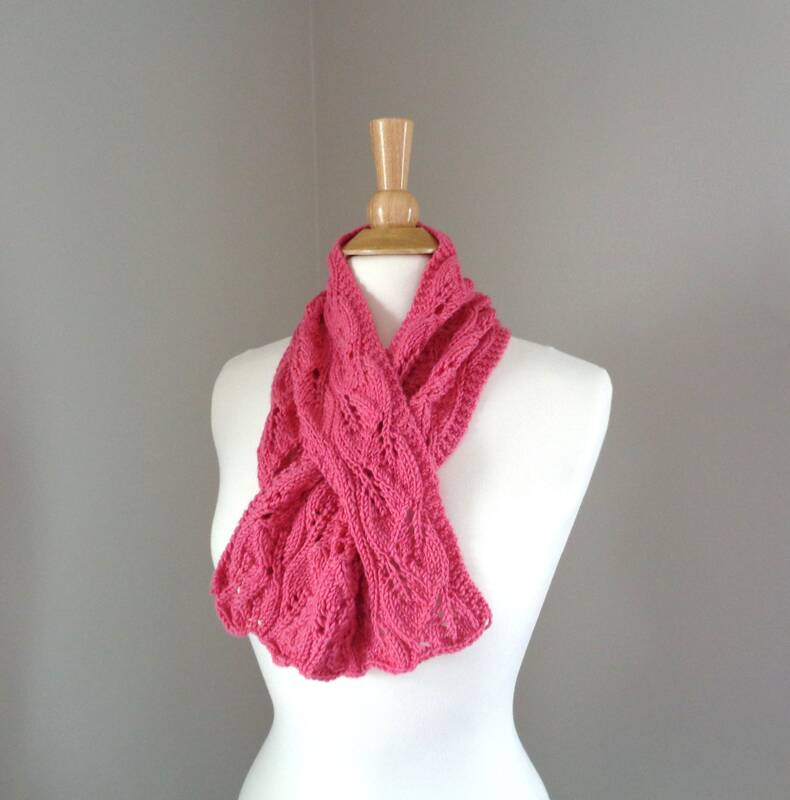 Rose pink keyhole scarf, hand knit in a luxury blend of merino wool, silk and cashmere. Some special lady deserves the very best! Shorter length with a keyhole slit for a pull-through stay in place style. A leaf lace pattern adds a unique character. This is buttery soft with no itch factor. Merino wool is so soft and fine it has been called "poor man's cashmere". Measures 6.5" wide x 34"